Fine art always captivates viewers with its great beauty. But what’s even more striking is the way artists portray human emotions in their artworks. It is amazing how structures carved from marble or some other stone, and two dimensional paintings, express emotions so beautifully. Another interesting thing about art masterpieces is that their beauty is open to interpretation. They connect with each viewer uniquely. Rome is overflowing with such mesmerizing artworks. A single visit might not be enough if you want to soak in the artistic splendor completely. Also, if you are a person who values fine art, then you must prioritize a Vatican City museum tour and see the exquisite works there. 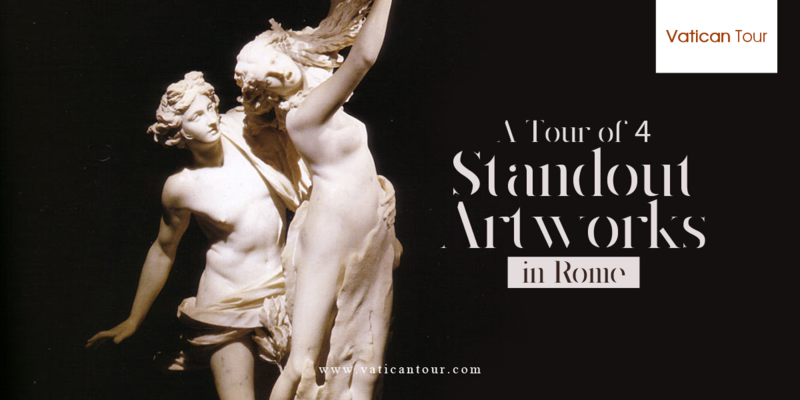 But for now, let’s look at these four standout masterpieces inside Rome, which portray many remarkable styles and cover various periods. Raphael is a brilliant artist belonging to High Renaissance– a brief period of artistic excellence. He painted frescoes that look extremely harmonious and always created figures that appear graceful. These unique abilities are revered by art enthusiasts throughout the planet. 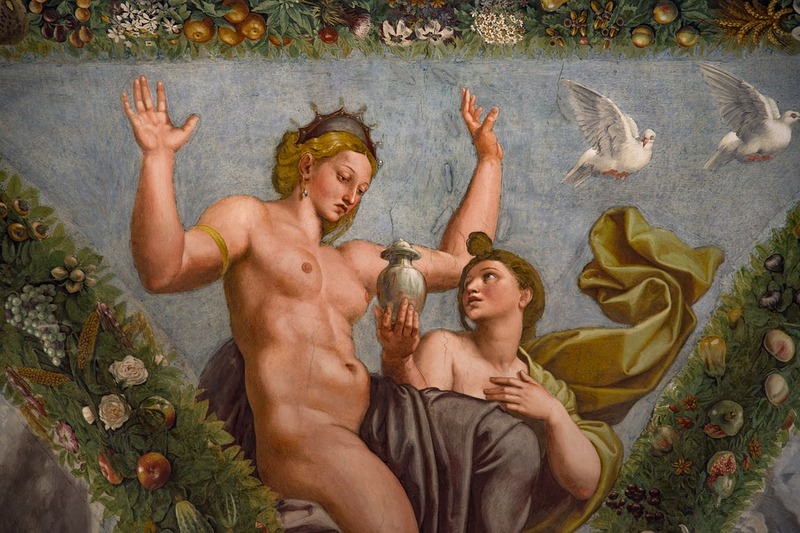 Many of Raphael’s renowned works decorate large parts of Villa Farnesina, which is a museum located in scenic Roman suburbs. The villa was owned by Pope Julius II, who appointed Raphael to fill up the airy floors and loggia with elaborate frescoes. Among eye-catching paintings in the palazzo are Triumph of Gelatea and the fresco showing Cupid and Psyche’s marriage feast. The life-sized figures of Apollo and Daphne residing within Galleria Borghese shall make you wonder how it’s humanly possible to create statues so natural and realistic! 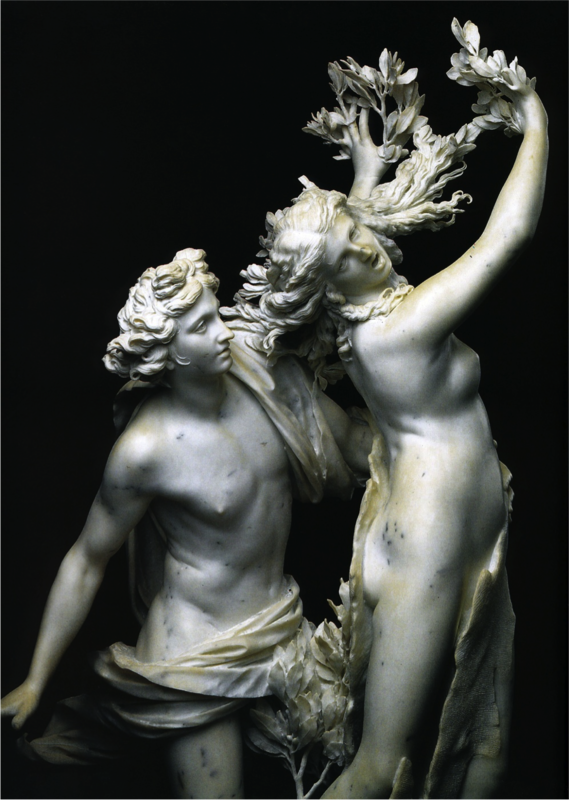 The marble figures depict Apollo aiming to grasp Daphne as she tries to flee, and at that very moment she starts transforming into a laurel tree, which is carried out by her father to save her from Apollo’s clutches.The portrayal of her fingers slowly changing into leaves is strikingly beautiful. The statue displays Bernini’s extraordinary talent, who was only twenty-four years when he started designing it. The Sarcophagus of Spouses is a precious artifact that has survived from civilizations that existed before Roman Empire. You’ll find this terracotta coffin inside Villa Guilia’s National Etruscan Museum. It portrays a married couple enjoying time together in a banquet in their afterlife. In Etruscan culture, afterlife was given much importance and elaborate tombs were constructed for ensuring peace and happiness of the deceased. Another thing to notice is the identical proportion of figures– it suggests Etruscans viewed both genders equally. This unconventional masterwork lies inside Palazzo Spada and offers a big treat for your eyes! The optical illusion you experience at Baroque Prospective Gallery was designed by Bernini in 17th century with the help of a mathematician; it gives viewers the impression that the gallery is over four times longer than its actual length, which is only eight meters long. To create this fun visual effect Bernini constructed a gradually rising floor, a downhill ceiling and columns that decrease in length. Also, what look like real hedges from entrance are found to be made of stone on reaching the end! Rome is a city where ancient art exists in between modern streets; so you’ll easily come across unique and attractive spots every time you stroll along the winding lanes. However, the ideal time to take a walk is during sunset, when everything around is glowing under soft light of dusk. In this romantic setting, our Rome evening tours can make you can feel the essence of la dolce vita.